In this article, we will analyze what Wi-Fi card specifications are important for security audit of Wi-Fi networks, what indicators to study before buying Wi-Fi, what you can learn about a Wi-Fi adapter connected to your computer, and a lot of attention will be paid to virtual wireless interfaces. The most important feature required for hacking Wi-Fi networks is whether the wireless card supports monitor mode. To understand what a monitor mode is, you need to turn on the adapter's operation in the “normal” (it is called “managed”) mode: the wireless card sends data to the Access Point and receives data from it that is intended for this wireless card. In monitor mode , the wireless card is not connected to a specific access point, it “listens”, i.e. It receives absolutely all wireless data packets that "fly" on the radio at the frequency that the wireless adapter is currently tuned to. Monitor mode is the ability of a Wi-Fi card to receive any packets that are available in the reach range at its frequency. If the wireless card does not support the monitor mode, then it is practically useless for wireless pentesting (unless, with the help of it, you can perform online attacks that have very little efficiency). Those. If the wireless adapter has a monitor mode, it can intercept a four-step handshake, with which you can later crack the Wi-Fi password. Note : throughout the article I will use such terms as "Access Point", "Station", etc., these concepts are disclosed in the section " Terms of Wi-Fi networks ." A handshake can be intercepted at the moment when the client connects to the access point, and this can happen very rarely. To speed up this process, a deauthentication attack is used . To perform it, it is necessary for the adapter to be able to make wireless injections. It is important to know that having a monitor mode ≠ ability to make wireless injections . Those. Some wireless cards will be able to intercept a handshake, but will not be able to disconnect clients (perform a deauthentication attack). Programs such as Fluxion and WiFi-Pumpkin require Wi-Fi cards that support the Access Point mode, i.e. AP mode . In the Access Point mode, the wireless card works as a wireless router: stations can be connected to it. The wireless card can support the monitor mode, be able to make wireless injections, but not have the Access Point mode. The capabilities of Wi-Fi cards depend on the chipset and driver. It is convenient to search in this table according to the chipset installed in the Wi-Fi card. In the first place for hacking Wi-Fi networks are important fields: AP , Monitor and Inj. For example, take a card like Panda Wireless PAU09 N600 . We are looking for information about the chipset installed in it: you usually have to google, sometimes detailed technical information can be found on the store's website. As you can see, supported by AP, Monitor and Inj - i.e. This card is perfect for wireless testing. It is seen that all the necessary modes are also supported. Here the main entries are monitor and AP . Above, it was shown how to collect information about the modes it supports even before purchasing a wireless device and, based on this information, determine whether a Wi-Fi card is suitable for Kali Linux. There are also commands to view the Wi-Fi hardware capabilities of the device. Now we will look at how to test in practice whether the monitor mode and other modes are supported by the specific Wi-Fi card you have on your hands on the particular system to which you connected it . Connect your Wi-Fi card to your computer: we will enter a series of commands that will confirm which modes it supports or does not support. 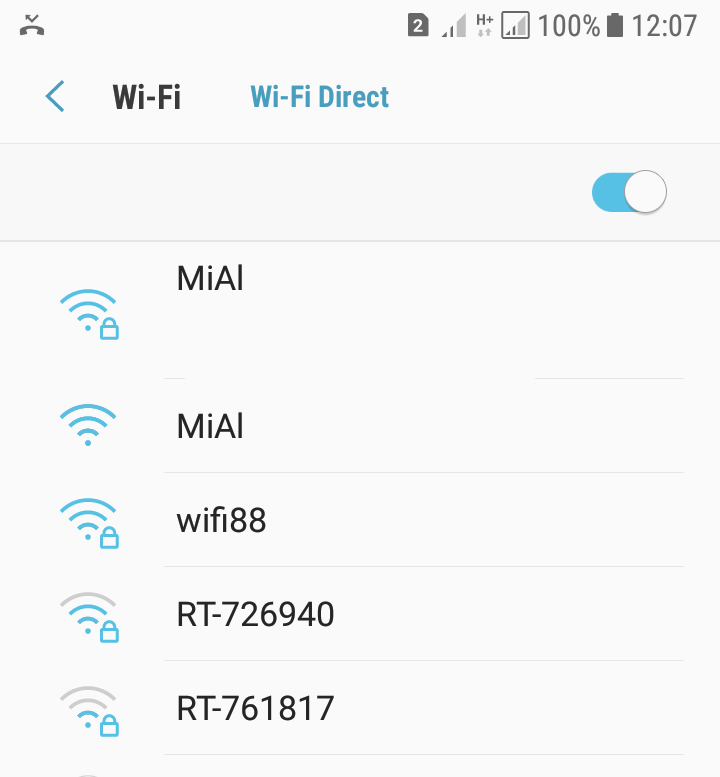 It should show the name of the wireless interface on your system. If nothing is displayed, then the wireless card is not connected, or the system for any reason cannot recognize your Wi-Fi card. 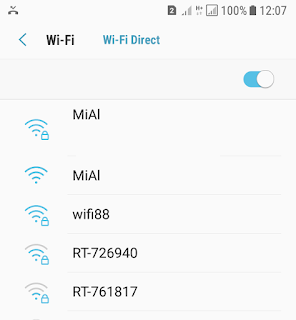 In the information received, find the name of the wireless interface, for example, it could be wlan0 . The type monitor indicates that the wireless card supports monitor mode. The main thing in the output is the string Injection is working! which says that the injection works. The access point mode is also called the master mode. The access point mode is required for social engineering-oriented programs that create access points (an evil twin attack, a fraudulent access attack). This, first of all, such programs as: Fluxion , airgeddon , WiFi-Pumpkin , create_ap and other similar. If everything is so, then with the help of another device (phone, tablet) look for a new one in the list of available networks, named TestAP. This access point does not route traffic (since we have not made the appropriate configuration). This means that if you connect to it, you will not have an Internet connection. However, it should still be visible as available networks. If everything went smoothly and you can see the new wireless network, it means that your driver supports the master mode with hostapd. To stop hostapd, just press ctrl + c.
Fluxion can use one wireless card with virtual network interface support, or two wireless cards at the same time. This means that you do not need a virtual interface if you have a second wireless adapter. If you went this way (two Wi-Fi adapters), make sure that the selected interface supports injection, and the second interface supports the master mode (access point mode, discussed just above), it is needed to launch the Captive Portal attack ). When fluxion uses one interface, a virtual network interface is required. This is due to the fact that some attacks, such as Captive Portal, require two different actions with wireless networks for successful execution: jamming the target AP and launching your own access point (rogue AP). The above commands should not generate any output. If after starting any of the command something is displayed on the screen, it means that something is going wrong. This command should not display anything on the screen; if any output is shown, then something goes wrong. Now we have both interfaces ready and we will try to use them simultaneously. As an experiment that everything works as described in theory, the main interface ( wlan0 in my example ) will launch a jammer, while the second interface ( wlan0ap in my case ) will launch a fraudulent access point. 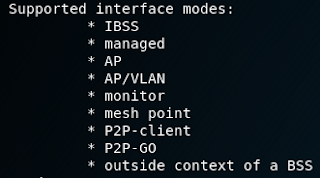 As a result, while mdk3 is working, it will be impossible to connect to the true access point, but the second AP with the same name will be visible, which can be freely connected without a password. And both of these operations are performed using a single Wi-Fi adapter. If everything is normal, mdk3 and hostapd should work simultaneously without stopping and departures. If everything went well for you too, then fluxion will work fine with your wireless card. Supported protocols: Wireless cards can support various combinations of a / b / g / n / ac. Currently, the n protocol is already widely used, while ac is still not widely used. signal strength: powerful cards are better, but usually they have a larger size and a larger antenna, which is not suitable for everyone. the presence of an external antenna, the number of antennas: there may be one or more antennas; if the antenna is disconnected, you can connect a more powerful antenna or install a directional antenna. 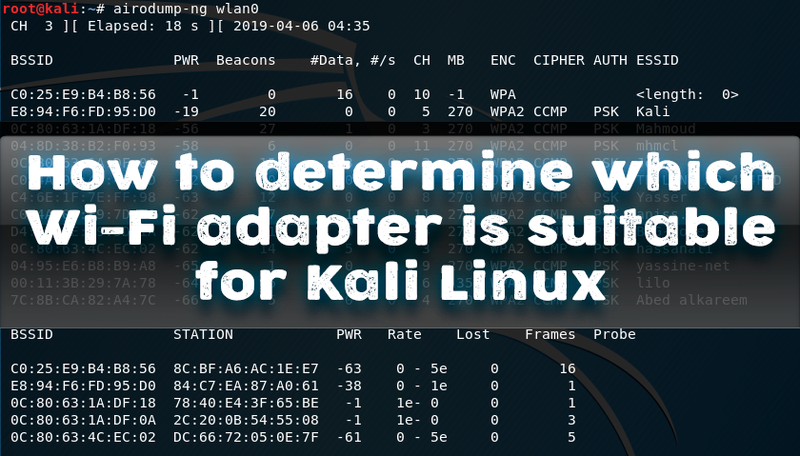 selection of adapters compatible with Kali Linux Wi-Fi for 2019 .